Ostensibly, the French team ‘launched’ its new single seater on Tuesday, but it was actually the 2018 car with 2019-style bodywork. One theory is that the car is delayed, and another is that Renault doesn’t want to reveal its secrets. Team advisor Alain Prost says Renault has been working over recent months to build up, declaring on Tuesday: “We are now a big team.” And with Daniel Ricciardo now in the cockpit, Abiteboul says Renault has “perhaps the strongest” driver lineup of any team. Nico Hulkenberg, he added, is “enormously underestimated”. Australian Ricciardo has joined Renault from Red Bull, and he says his mission now is to show that it is a “serious” move with the aim of eventually winning a title. “When I signed here, a lot of people were saying ‘Why has he done that? '” he admitted. “I feel as though not everyone sees it as a serious move, so I want to show that I am serious.” Many will think that Ricciardo has taken a huge gamble with Renault but if you are into big risk high reward you can also try your luck with high roller online casinos. And German Hulkenberg said: “If I had to put my expectations into words, I would say ‘We have work to do, but hopefully not too much’.” As for the missing 2019 car, boss Abiteboul explained: “Our new car is still in pieces, but we will have it ready for the Barcelona test. “I believe we are not the only team to be in this situation,” Abiteboul added. And when that car emerges, Prost says the goal is for it to be close to Mercedes, Ferrari and Red Bull. We will be able to reduce the gap to the top three teams, I just don’t know by how much,” said the quadruple world champion. “Everything looks very promising,” Prost added. “I don’t think it will be enough to beat Mercedes and Ferrari, but Red Bull and Honda are a question mark for me.” As for the future, it appears that Renault’s intense team-building process is now basically over. 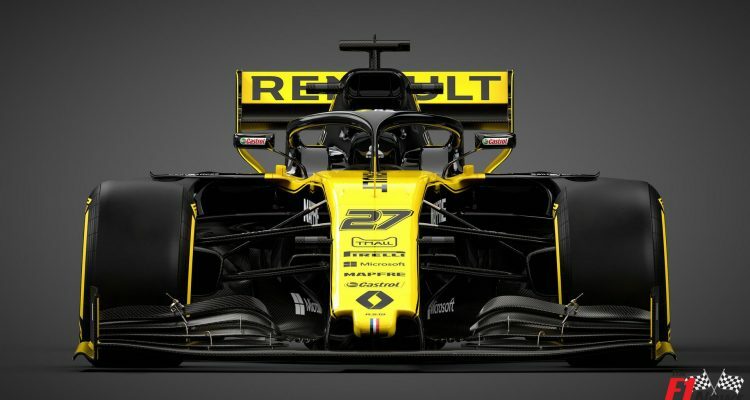 If you are willing to take a piece of the action with Formula 1 in 2019 you can do it with the sport betting sites, while Abiteboul admitted Renault is “several hundred people” short of the big three, but that will not change for now.